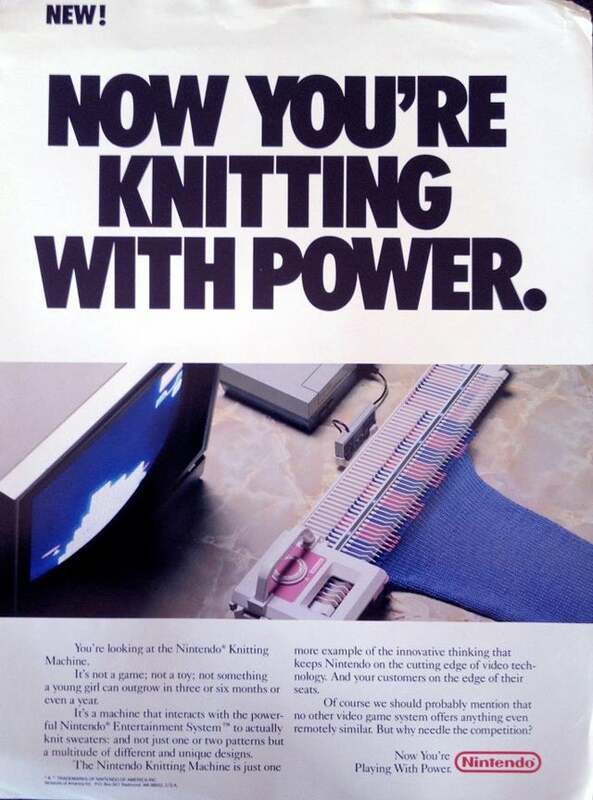 The Nintendo Knitting Machine was an official (prototype) NES accessory #Nintendo #Gaming #Consoles #Knitting #Retro « Adafruit Industries – Makers, hackers, artists, designers and engineers! Nintendo launched several peripherals for the NES back in the 1980s. Most of us remember, or at least heard of, the power glove and the light gun. (Ed. and the R.O.B. 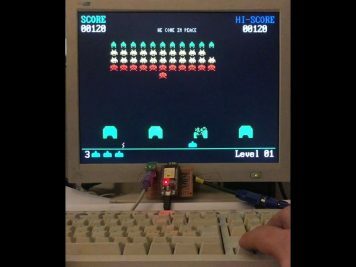 robot) But then, there were the stranger attempts, like Nintendo Knitting Machine, designed to help you make those oh-so-delightful ’80s sweaters. And no, I am not making this up. “Gamemaster” Howard Phillips, who worked for Nintendo in the decade running from 1981 to 1991, recently shared this brochure from the late 1980s on his Facebook page, confirming that the prototype, at least, did indeed exist. Phillips had to give a demonstration of it to the chairman of Toys R Us. “Likely one of my least genuinely enthusiastic demos,” Phillips added. You’re looking at the Nintendo Knitting Machine. It’s not a game; not a toy; not something a young girl can outgrow in three or six months or even a year. It’s a machine that interacts with the powerful Nintendo Entertainment System to actually knit sweaters: and not just one or two patterns but a multitude of different and unique designs. The Nintendo Knitting Machine is just one more example of the innovative thinking that keeps Nintendo on the cutting edge of video technology. And your customers on the edge of their seats. Of course we should probably mention that no other video game system offers anything even remotely similar. But why needle the competition? See the full post on Kotaku for more.